Choosing the right tenant from the start can eliminate the stress of late or missing rent payments and reduce the risk of damage to your property. Alan Boswell offer landlords a range of services designed to assist you in choosing the right tenant. 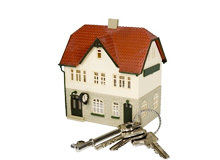 To further protect you from loss of rental income we also offer a range of Rent Guarantee insurance products. Referencing services are provided to landlords on a pay-as-you-order basis and can be ordered online via this website or by sending us completed application forms. Alan Boswell Tenant Referencing is arranged and administered by FLS Corporate Referencing Services Limited, registered in England & Wales under number 05376127. Registered Office: Camburgh House, New Dover Road, Canterbury, Kent CT1 3DN. Tenant Referencing is not regulated by the Financial Conduct Authority.